Green beans (Phaseolus vulgaris), also known as string bean, snap bean in the northeastern and western United States are the unripe fruit of various cultivars of the common bean. Green beans are a versatile vegetable that can be grown in many different climates. Green beans (Phaseolus vulgaris), also known as string beans, snap beans in the northeastern and western United States are the unripe fruit of various cultivars of the common bean. Green beans are a versatile vegetable that can be grown in many different climates. This helps the plant become such a familiar food. 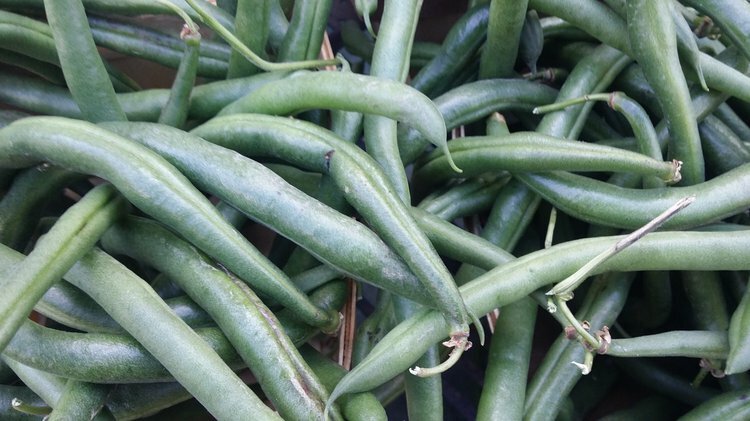 There are two categories of the green bean: “pole beans” and “bush beans.” Pole beans usually climb vines and require support systems to grow properly. These plants take longer to grow to maturity. Bush beans need no support system and are lower to the ground. They have fast developmental rates. This popular plant is used in many cuisines. Luckily, the green bean has many health benefits. Here are the 7 health benefits of green beans. 1. Green Beans can help improve your eye health. Green beans have carotenoids that play a crucial role in preventing any stress to the inner structures of the eye. These naturally occurring chemicals help to avoid vision deterioration, like macular degeneration. 2. Green Beans can contribute to improving your digestion issues. Green beans are loaded with fiber, which helps ease some digestive issues like constipation, hemorrhoids, ulcers, and acid reflux disease. These conditions range from minor to potentially life-threatening. 3. Green Beans may help prevent colon cancer. Green bean consumption has shown to prevent precancerous polyps, an abnormal growth of tissue projecting from a mucous membrane, which commonly leads to colon cancer. New evidence also suggests that an increased green bean intake can reduce the risk of cancerous adenoma recurrence and colorectal cancer. Also, the high fiber content of green beans will promote healthy bowel movements, reducing the likelihood of colon cancer. 4. Green Beans can help improve bone strength. Green beans contain calcium, vitamin K, vitamin A, and silicon. These vitamins and minerals can prevent bone deterioration and osteoporosis, and increase bone regeneration and overall bone health. 5. Green Beans can help individuals with type 2 diabetes. Studies have shown that green beans can help manage and regulate type 2 diabetes mellitus symptoms, such as high blood sugar. 6. Green Beans can reduce the risk of cardiovascular disease. Green beans contain a high amount of flavonoids, which can decrease the possibility of heart disease and have anti-inflammatory properties. Flavonoids are antioxidants that are commonly found in fruits and vegetables. 7. Green Beans can help boost your immune system. Green beans contain antioxidants that have been known to improve the immune system. Green beans are an excellent source of flavonoids and carotenoid. Flavonoids contain necessary antioxidants like quercetin and kaempferol, but also more useful and beneficial ones like catechins and epicatechins. Catechins have been shown to reduce the severity of strokes. Carotenoids found in green beans contain antioxidants like beta-carotene and lutein. Beta carotene has been linked to some benefits to the body. Chiu, K. W., & Fung, A. Y. L. (1997). The cardiovascular effects of green beans (Phaseolus aureus), common rue (Ruta graveolens), and kelp (Laminaria japonica) in rats. General Pharmacology: The Vascular System, 29(5), 859-862. Hertog, M. G., Kromhout, D., Aravanis, C., Blackburn, H., Buzina, R., Fidanza, F., ... & Pekkarinen, M. (1995). Flavonoid intake and long-term risk of coronary heart disease and cancer in the seven countries study. Archives of internal medicine, 155(4), 381-386. Lanza, E., Hartman, T. J., Albert, P. S., Shields, R., Slattery, M., Caan, B., ... & Daston, C. (2006). High dry bean intake and reduced risk of advanced colorectal adenoma recurrence among participants in the polyp prevention trial. The Journal of nutrition, 136(7), 1896-1903. Jacobs, L. R. (1988). Fiber and colon cancer. Gastroenterology Clinics of North America, 17(4), 747-760. Arts, I. C., van de Putte, B., & Hollman, P. C. (2000). Catechin contents of foods commonly consumed in The Netherlands. 1. Fruits, vegetables, staple foods, and processed foods. Journal of agricultural and food chemistry, 48(5), 1746-1751. O Connell, E., Neelam, K., Nolan, J., Eong, K., & Beatty, S. (2006). Macular carotenoids and age-related maculopathy. ANNALS-ACADEMY OF MEDICINE SINGAPORE, 35(11), 821.